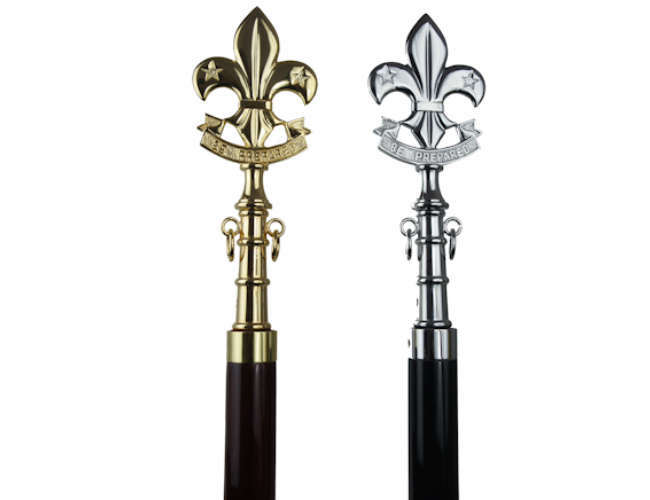 These scout flagpoles come in 2 cololurs . One in gold brass colour and the the other chrome. The Chrome fittings flagpole comes with complete chrome fittings and black pole.Gold colour flagpole comes with rosewood pole similar to red cedar and all fittings. Black pole with chrome fittings. Or Rosewood pole with brass fittings. Top quality scout poles complete with all fittings.